Agent's authentication is taken care by the Identity Provider - OneLogin. So agents cannot login to HappyFox Chat with their regular password but will be prompted to login via OneLogin. 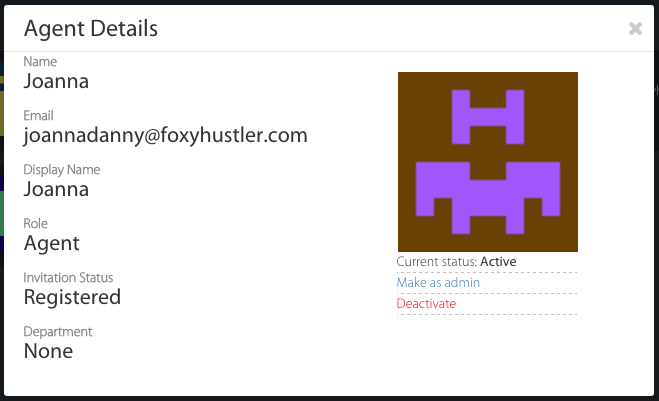 Only admins can login with their HappyFox Chat email id and password, to disable SSO if the Identity provider is down. Agents/Admins cannot update their email id and password. Ensure that the agent who is added to HappyFox Chat is also registered with your OneLogin account (Identity Provider). For new users, while creating the user you can give access to HappyFox Chat by adding the application. 1. 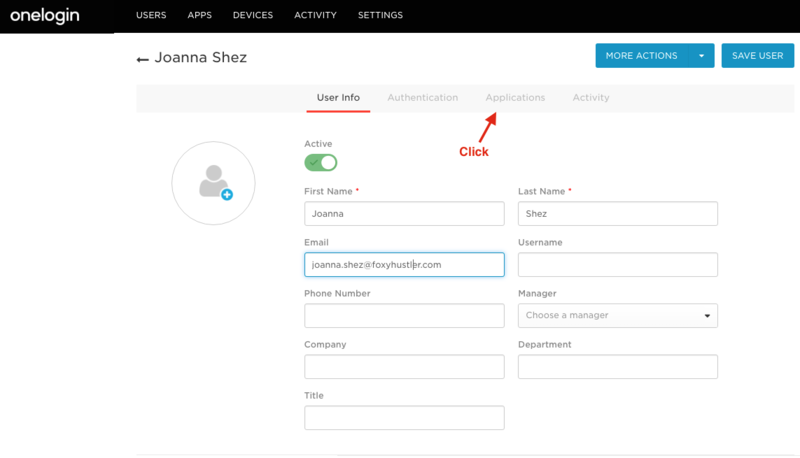 Log in to your OneLogin dashboard. 2. Go to All users > Choose the user who should be added to HappyFox Chat. 3. Click the Applications above the user details> Click Add (+). 4. Select HappyFox Chat > Click Continue. 5. 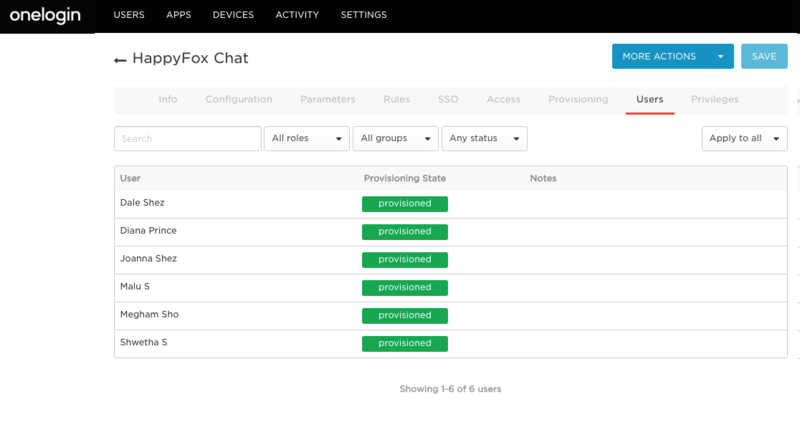 The user added via OneLogin will be created as an active agent on HappyFox Chat directly under Agents section. This user will be added to HappyFox Chat account with the role - Agent. However their role can be changed by the admin of HappyFox Chat account. 6. To notify the user about the access to HappyFox Chat app, you can send an invitation from OneLogin. 7. When the agent is deleted/suspended from OneLogin, the agent will be deactivated on the HappyFox Chat account. 8. If provisioning is ON, any action like adding or deleting a user from OneLogin account will be in sync with the connected HappyFox Chat account. 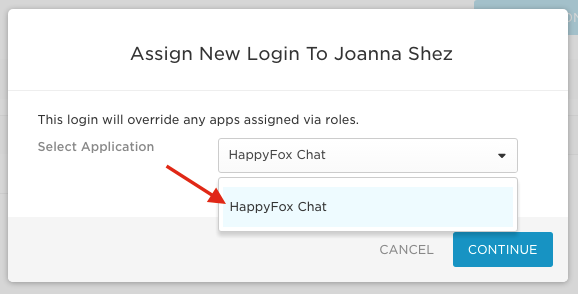 If you have enabled admin approval workflow, syncing with HappyFox chat account will be done based on approval. NOTE: Users/agents provisioning will obey the HappyFox Chat plan limits. Agent de-activation will fail in case there is only one agent in the department. 9. 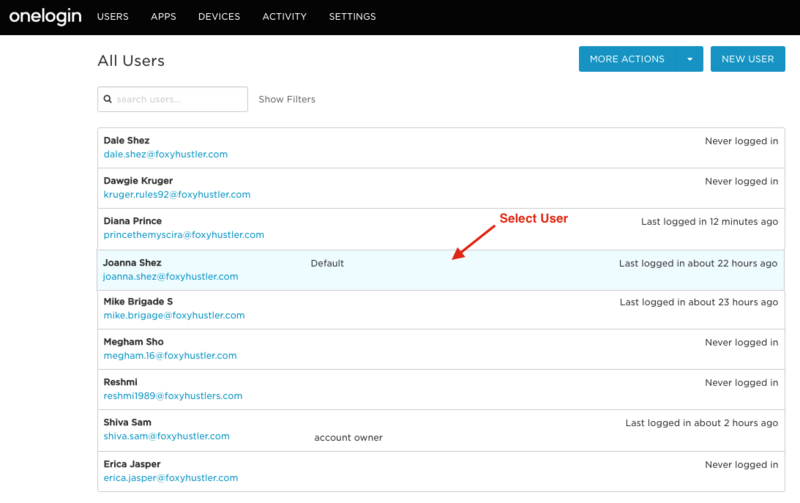 To check the list of users who are provisioned to your HappyFox Chat account, click on HappyFox Chat under Company apps section on OneLogin and check their statuses. 1. Service provider initiated login: Agents can click on "login using SSO" link in HappyFox Chat login page and on entering their email id, they will be redirected to OneLogin (if they haven't logged in earlier) and if gets authenticated successfully they will be redirected to the HappyFox Chat home page. 2. 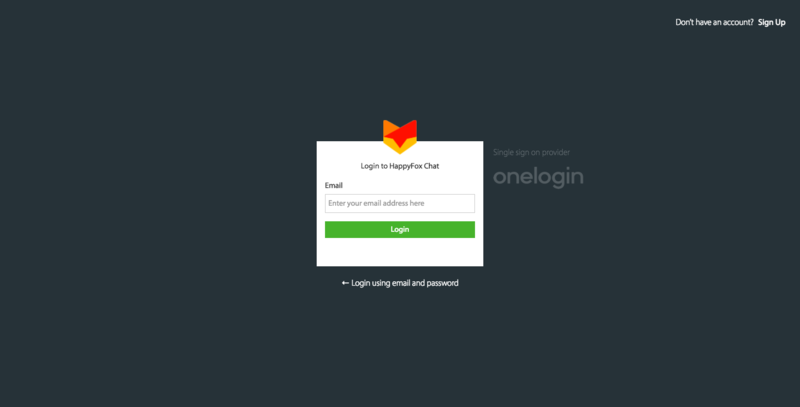 Identity provider initiated login: Agents will see HappyFox Chat listed as an application inside OneLogin dashboard and clicking on it will redirect them to HappyFox Chat home page.